Sumo Suit is best for team building exercise. It is a game of minimum 2, each wearing this Sumo Suit. He who fell all others by pushing himself to others is the winner of the game. Sumo Suit is made of flexible plastic sheets called PVC & it is filled with 30 kg of foam. just wear it, wear it and start fighting, Without hurting anyone. We use Recron Fibre to for the filling and Sumo suits are made up of PVC tarpaulin. We ship 2 Sumo Suits, 2 safety helmets, 4 Gloves and one foam filed arena in the package. We use material imported from Taiwan, The Roller is designed in Autocad, welding part is done on German Hot Air Sealing Machines – Miller Weld Master, The Cutting of material is done on laser cutter, We keep each ball inflated for 24 hours to check the leakage after manufacturing each ball. 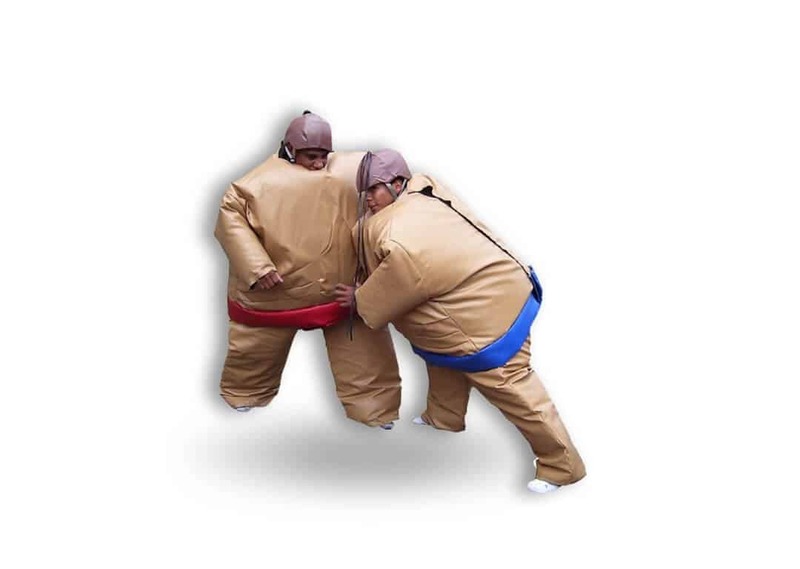 2 opponents wear these foam filled sumo fight suits and try to push each other out of the foam filled ground matt. The one who gets out of the mat is looser and other is the winner.